Compressors are often bundled with nailers. This pancake-style unit is compact but is not powerful enough for many air tools. Unless you are upgrading from your current air compressor, choosing the compressor that will best suit your requirements is a bit of a chicken-and-egg proposition. If this is your first air compressor, you are unlikely to already own air tools (also called pneumatic tools), so picking the right compressor can be tricky. Buyer's guides advise you to choose a compressor with 1.5 times the output required by your most demanding air tool, but that's a conundrum if you're just starting out and don't yet own any tools. Choosing a Compressor—Where Do You Start? Perhaps your interest in an air compressor stems from a single tool—a pneumatic nailer or stapler, for example. Nailers are sometimes bundled with an inexpensive and lightweight compressor completely adequate to their operation. But nailers and staplers are among the least power-demanding of all the air tools. That bundled compressor, sufficient for the nailer that accompanies it, may not be powerful or capacious enough for any other pneumatic tools you might later add. If a compressor dedicated to your nailer or stapler is what you want—and you might, because that air compressor is likely to be especially portable—then the bundle is a good choice. But if you want to leave open the possibility of additional tools without buying a second compressor, consider a more powerful compressor up front. This air compressor is rated at 5.7 CFM at 90 PSI. Powerful enough, but less portable. 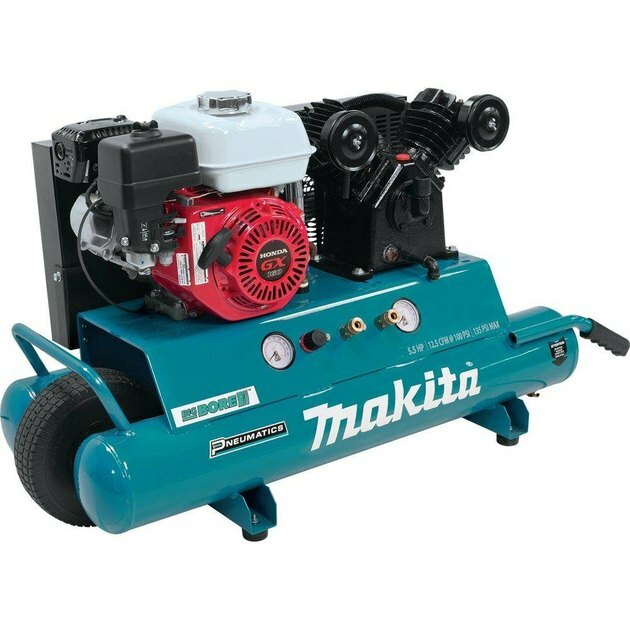 Air compressors are available in a wide range of capacities and configurations, from light-duty portable units to high-capacity stationary ones. The rate at which a compressor can draw in air and compress it is expressed as CFM, or cubic feet per minute. The degree to which the air is compressed and held in the air tank is expressed in terms of PSI, or pounds per square inch. The tool-driving power of a compressor is rated in terms of its CFM, usually at an assumed standard pressure of 90 PSI, which makes it easier to compare different compressor units. 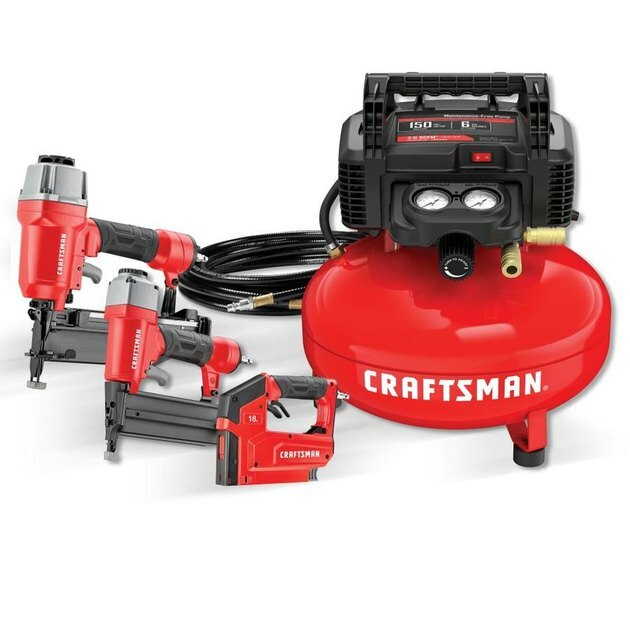 Air tools have varying power requirements, both in terms of CFM and PSI, with the ones that run more or less continuously, such as sanders, grinders and paint sprayers, demanding a higher CFM supply than the tools that operate in short bursts, such as nailers and staplers. Those high-demand tools also work best with a larger tank to provide a reserve air supply and to buffer the compressor motor. No matter which tools you are using, the larger your air tank, the more effectively the compressor will work; but the larger and heavier the tank, the less easily portable your compressor will be. 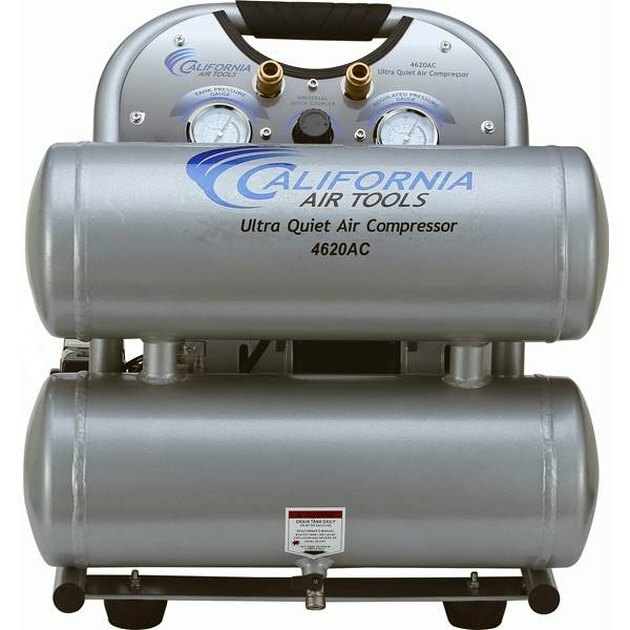 For most non-professional users, a single-stage compressor with a modestly sized tank of 6 gallons or less should be adequate and reasonably portable. 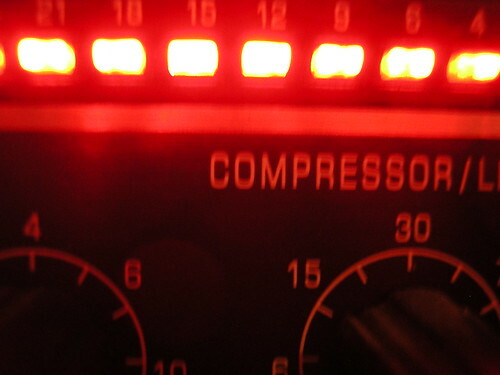 Single-stage compressors use a piston to draw in outside air and compress it on the downstroke, whereupon it is released through a discharge valve into the air tank. Two-stage compressors compress the air in the same way that the single-stage ones do, but they then compress the air further a second time. The higher pressures of a two-stage compressor will generally require a more robust and heavier motor and tank. Gas-powered air compressors are heavier and more expensive but work where electricity is unavailable. Some air compressors are designed to run on electricity, others on gasoline. Unless you expect to use your compressor primarily in places where an electrical source is unavailable, an electrically powered unit is probably the better choice. Gas-powered air compressors are heavier, noisier and more expensive than their electrical counterparts. They require more maintenance and are unsuitable for indoor use. 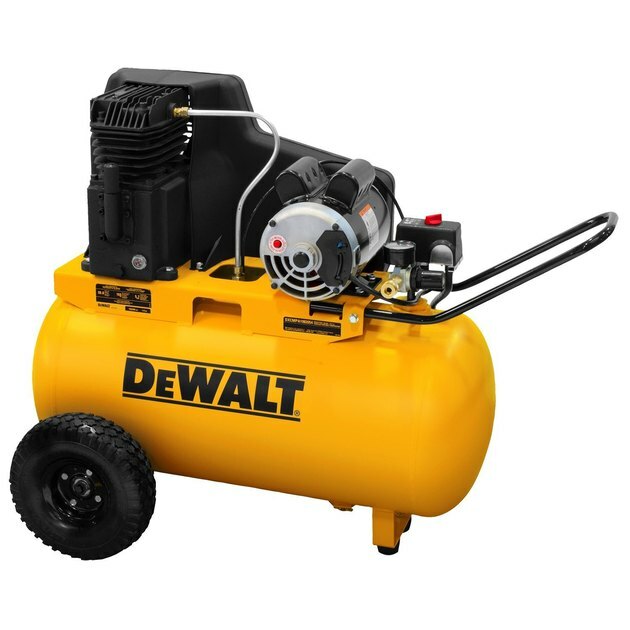 Electrically powered air compressors intended for household applications plug into a standard 115-volt household circuit although some of the larger stationary compressors must be hard-wired into a 230-volt circuit. It's never advisable to use an extension cord with an electrical air compressor. Instead, extend your reach by using a longer rubber air hose between the compressor and air tool. This twin-tank oil-free compressor combines 5.3 CFM of power with relative portability. You'll find some that air compressors are designed to be oil lubricated while others are oil free. Oil-lubricated compressors require oil to keep their parts running smoothly and to minimize wear. They tend to be heavier than their oil-free counterparts and require more maintenance, but they also generally last longer. Oil-free air compressors are, as the name indicates, designed to run without the addition of oil. That makes them a popular, undemanding choice for the occasional user. Pneumatic tools are simpler and more durable than their electric counterparts. Why Choose Air Powered Tools? Pneumatic tools are lighter, simpler, and usually more durable than comparable electric tools. The only motor they need is the one on the compressor. They can cut, grind, saw, sand, drill and chisel. Compressed air tools can sandblast away rust and scale and spray on a professional quality paint finish. To accomplish those things, in addition to owning the right tools, you need to be sure your air compressor is adequate to the task. Each air tool will display the CFM flow it needs to operate properly; the CFM capability of your compressor should be 1.5 times the CFM requirement of your highest-rated air tool. If you are new to the world of pneumatic tools, it's a good idea to visit a local home improvement store or other tool source to get a sense of what air-powered tools can do. Pay special attention to the ones that correspond to your habitual tool use and note their CFM flow requirements. You'll be better prepared, then, to choose an air compressor that can serve your needs now and into the future. What are the Advantages of a Multi Stage Air Compressor?